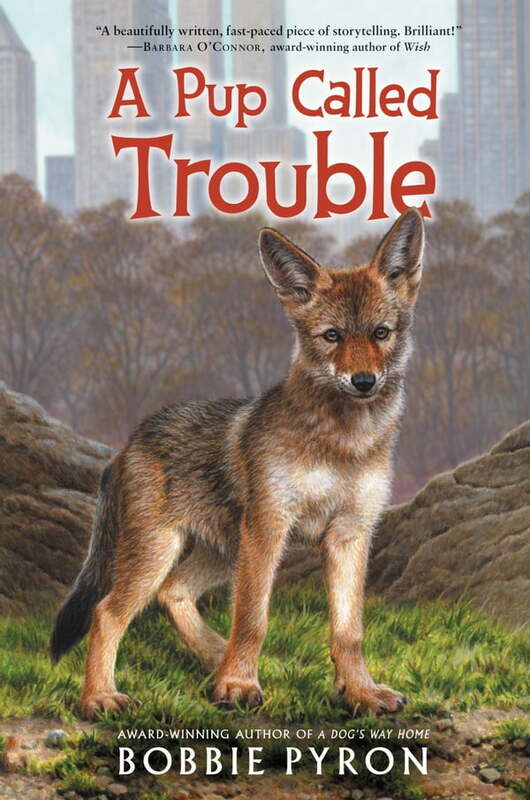 Fans of classic animal stories like Pax and A Dog’s Way Home will howl over the heartwarming adventures of a coyote pup lost in New York City. Brimming with curiosity,Trouble can’t wait to explore the world beyond Singing Creek. So one morning the coyote pup stows away in the back of a truck and ends up lost in the heart of New York City. While Trouble misses his siblings, he quickly makes friends in Central Park’s Ramble: a prankster crow, a timid opossum, and a poetic poodle. Before long, he goes from howling for home to wondering if he could make a life in the city forever. But when word gets out that a coyote is running wild on city streets, Trouble must choose between the risks of being caught and the dangers of a long journey home. Inspired by true stories, this accessible read from the award-winning author of A Dog’s Way Home will resonate with anyone who’s ever felt torn between the longing for adventure and the call of home. An appendix with real accounts of wild animals trapped in the city adds to the fun!